Studying in Australia is a fantastic experience shared by thousands of overseas students each year. However, what if you would like to stay after your course has finished. Well, there may be a number of options open to you. A popular choice for many students is to apply for a Temporary Graduate visa (485). 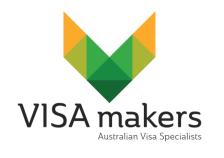 This visa is for international students who have recently graduated from an Australian Educational institution. (For more information click on the 485 button below). Many students manage to stay in Australia by finding an employer that is prepared to sponsor them. A really popular choice at the moment is the RSMS 187 visa especially for those students living in Perth. Skilled Visas may be another option for students however, these can be more difficult if you have a lack of experience in your field. Click on the green visa buttons below for more information.